As Canadian licensed producers have prepared to add capacity in conjunction with the transition ahead from a medical cannabis program solely to a broader legalized cannabis environment likely to commence in the next two years, the publicly-traded LPs have raised a large amount of capital. 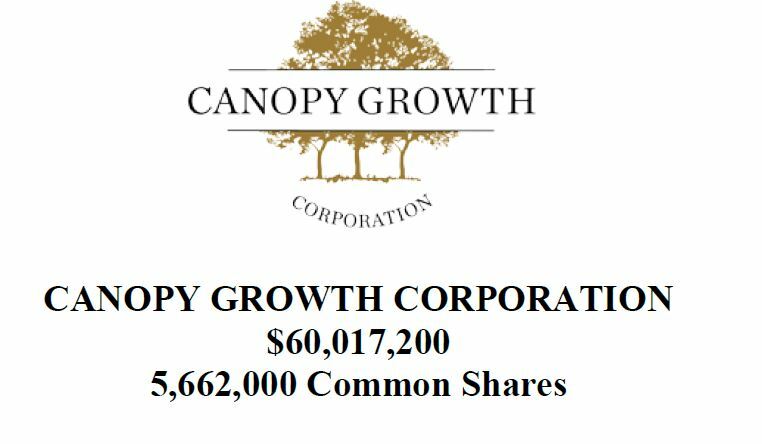 Today, Canopy Growth (TSX: CGC) (OTC: TWMJF) announced that it closed a $60mm financing that it had announced earlier this month, selling 5.662mm shares at $10.60 in a “bought deal” led by GMP Securities and Dundee Capital Partners along with Cormark Securities, PI Financial and Canaccord Genuity. The deal was the largest of the year and represented over 12% of the capital raised by the LPs since the Liberal Party took control of Parliament in October 2015. 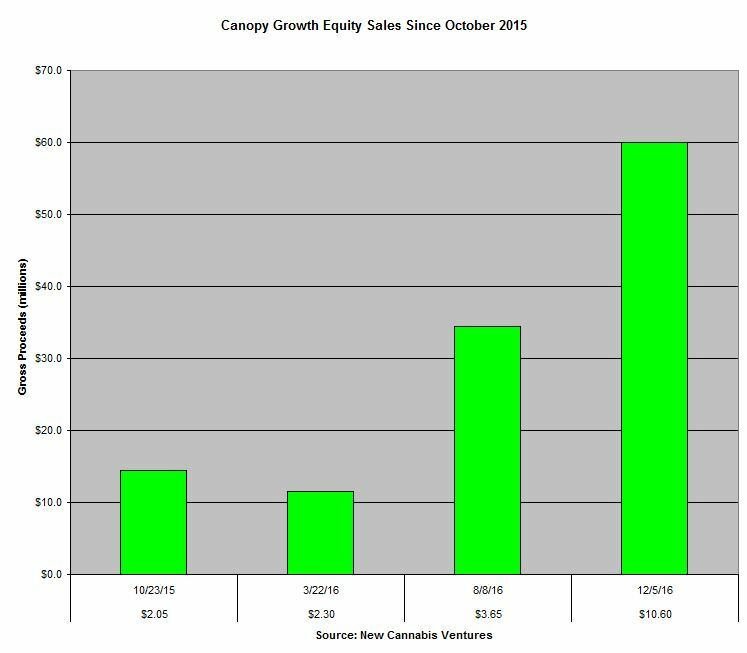 Total gross proceeds raised by Canopy Growth over their four capital raises has been $120.4mm, with the weighted average price per share of $6.47.